CAMAS — It turns out, there is plenty of time for the things that are important. Shane Jamison’s schedule is pretty much full. Throughout the day. Throughout the year. A student with a grade-point average of 3.99 who has taken five advanced placement courses so far in high school is about to take three more AP classes his senior year. 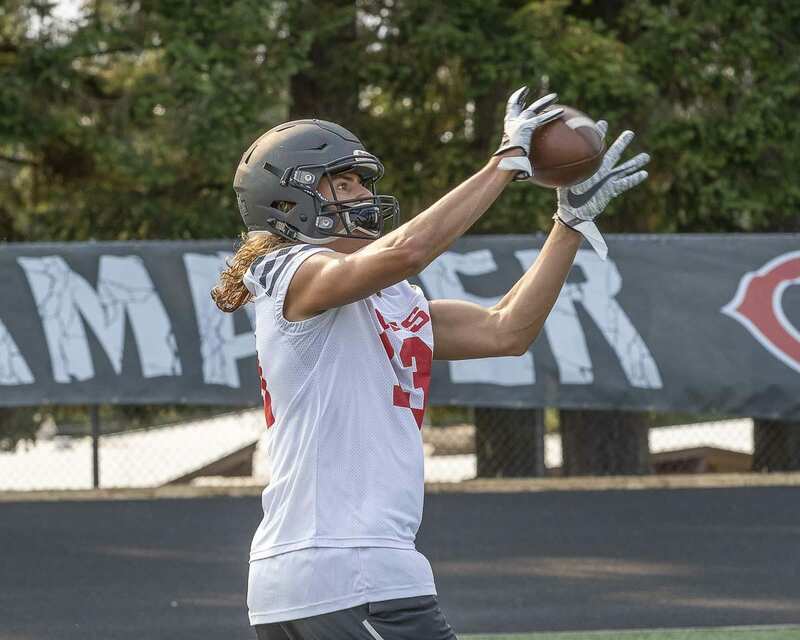 He also expects to play three sports again for the Camas Papermakers. The only thing this talented student and multi-sport athlete specializes in is time management. In one sport in particular. 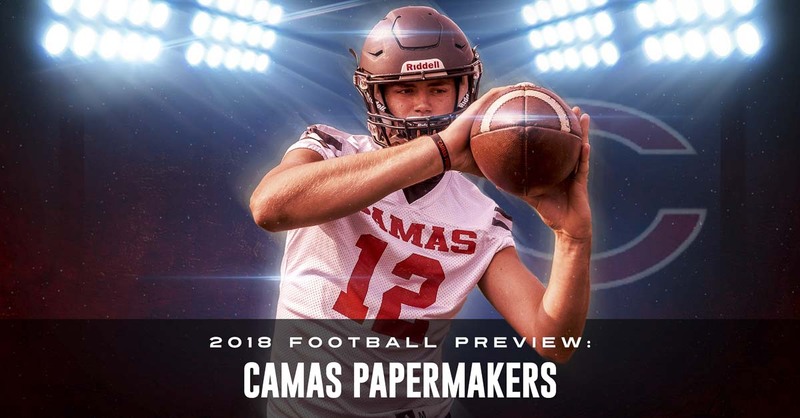 Jamison, who played a bit as a sophomore on the 2016 state championship team, and then got a lot of playing time on both offense and defense last season, is excited for one final season in the Camas uniform, playing in front of that special crowd at Doc Harris Stadium. Still, this is Camas. This is the program that has won 58 of its past 59 regular-season games. The loss, though, was Week 9 last year to the Union Titans. 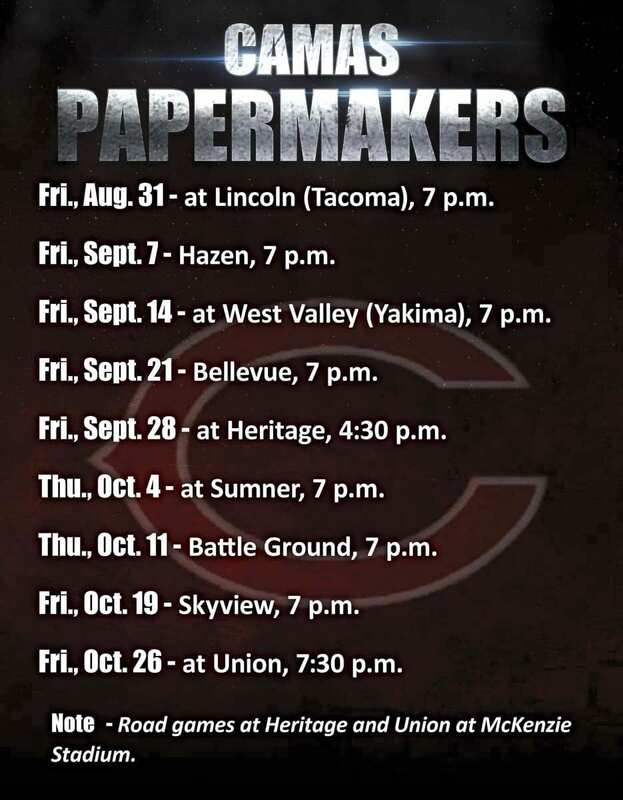 Naturally, Jamison and the Papermakers want to get back on top of the Class 4A Greater St. Helens League. Not just for them. Not just for their classmates. Not just for their fans throughout the city. But also their coaches. 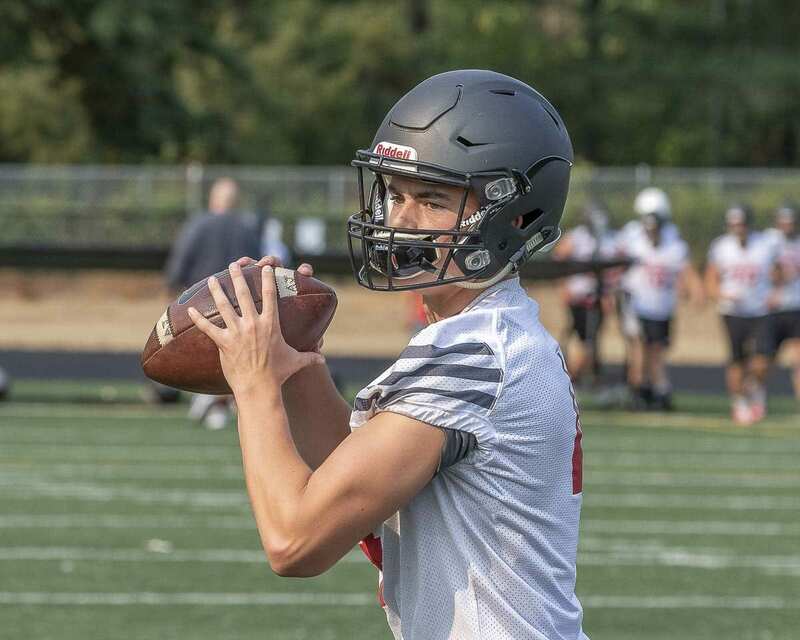 Jamison is proud to be a three-sport athlete and loves the fact that the football coaches at Camas encourage that competition. Jamison’s June was hectic. School, then football practice for spring drills, then basketball practice. Homework. Bed. Repeat. In July, football workouts every day, basketball open gym three or four times a week, and Jamison also helped coach the kids basketball camp. He did not play summer baseball this year but still expects to play ball next spring for the Papermakers. He said it is an honor to wear the Camas uniform. Football is No. 1 in his athletic life, plus, Jamison said, the other sports help him in the fall. Baseball is such a mental game, he said, always knowing where to go in this situation or that scenario. He said playing baseball helps him in football, for that recognition needed before every snap. At 6-foot-4, he is a post for the Camas basketball team and it is expected of him to sky for rebounds. He said he uses those box-out skills on the football field, too, hauling in passes in the end zone. His sports are important but they have not overtaken his life. He has an offer to play college football at Cornell University. Ivy League schools are not interested in athletes without a great academic record. “Grades have always been a big part of my life,” Jamison said. So big, in fact, that he is still bummed about the 3.99. Numbers matter to him. He wants to be a financial advisor one day. So that A-minus he received in an English class his freshman year still haunts him. “That’s always going to be on my mind. I’m very ticked off about that,” he said. He lets his aggression out on the football field, saying he prefers safety to wide receiver because of the hitting involved. As far as his individual goals this season, Jamison said he wants to play like he is capable, but more importantly, he wants everyone to know he is giving it his all. “All-league (honors) are great, but if you’re not really playing your heart out, it’s not the same,” he said. 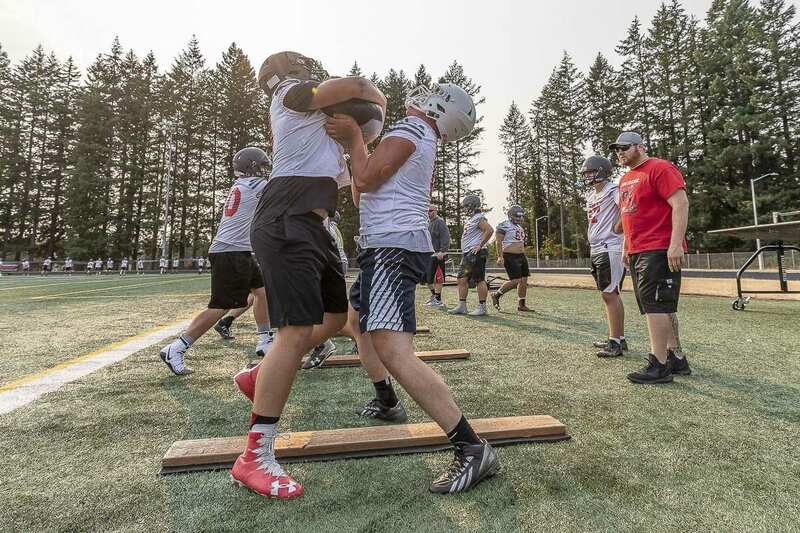 At Camas, it is all about the team. 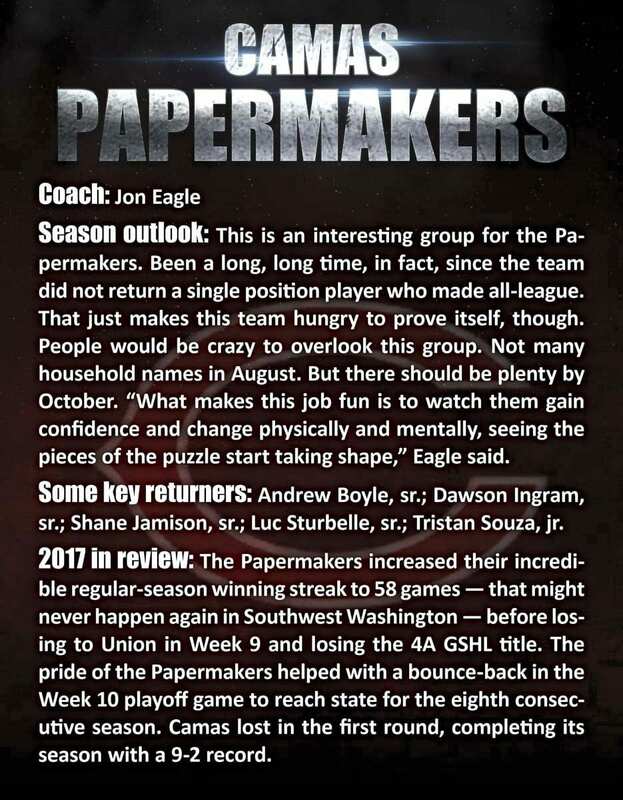 The Papermakers are using last season as motivation for this season. First thing, they want a league championship. He has state championship experience, too. He knows what it is like to win it all. Interestingly, that is not what the Papermakers discuss in preparations for 2018.